Feel unstoppable in Speedo's most innovative closedback racing kneesuit the Fastskin LZR Racer X! Developed by swimmers, for swimmers. The magenta and copper designed racing suit features increased targeted compression that streamlines the body while support seams hold you higher in the water making you the fastest you can be! 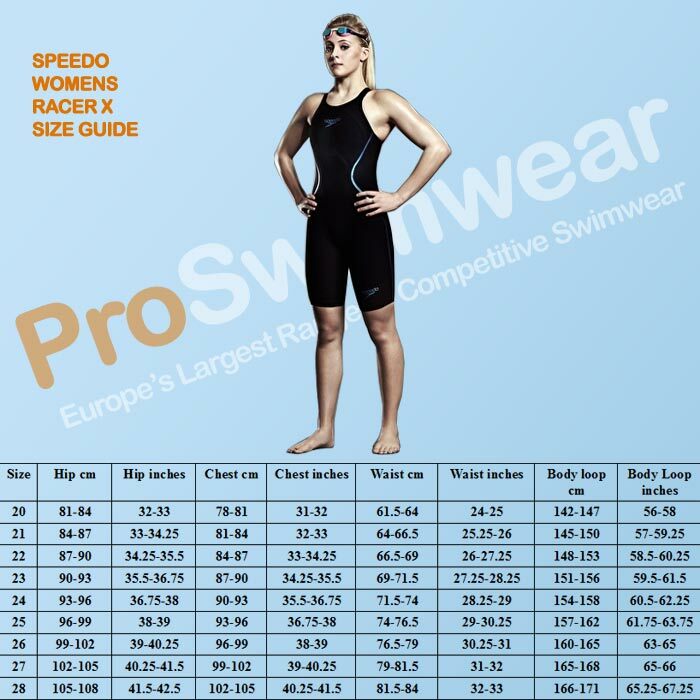 This FINA approved kneeskin is part of the Speedo Fastskin range, developed to create a racing system that works in conjunction with your body shape, to meet your personal swimwear and equipment preferences. Ab Activatiors™ - Laser-cut panels in the suit's core liner increase water sensitivity while prompting you to align yourself correctly. Support - Maximised support seams improve the linkage of the body's muscular kinetic chain, promoting better body positioning and increased muscular awareness.